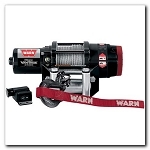 - Mount can be used with 2500MT & 3000MT Warn Winches only. - The stout 1/8" steel construction and powder coated wrinkle finish will make these bumpers last for years. 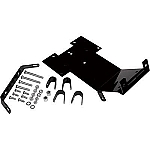 - Make your ATV/UTV stand out from the crowd with a sweet Warn Bumper!